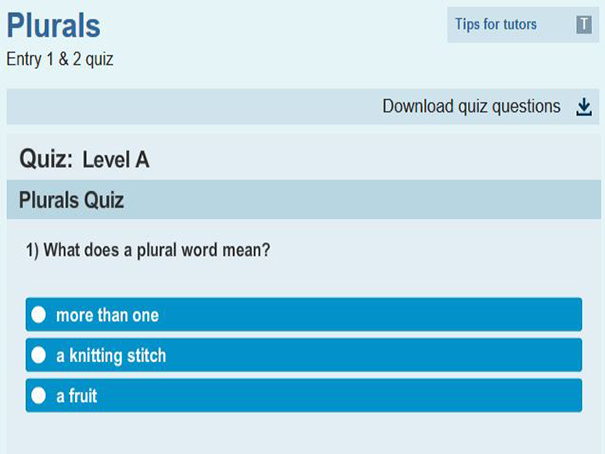 This is a multiple choice quiz about plurals. There are 3 levels (A,B & C). At the end of the quiz a full report of your answers is given with your score.